Studio Ghibli Fest has been a real gift for animation fans this year, and the gifts keep on coming. 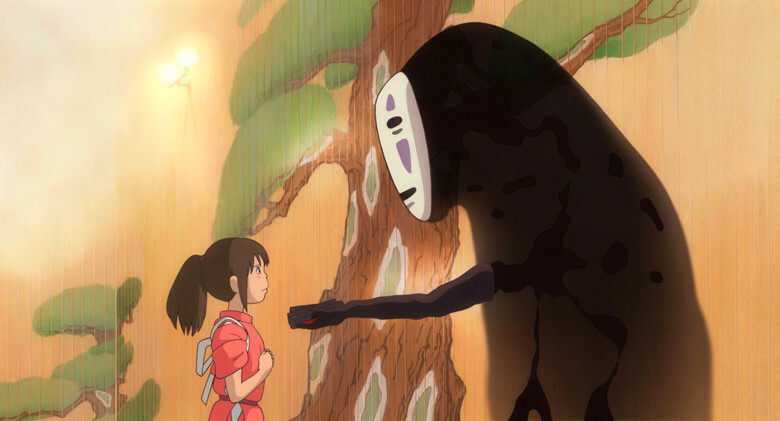 This month, we have the chance to see Hayao Miyazaki’s incredible fantasy film Spirited Away. This award winning film is coming to theaters October 28 (Dub), October 29 (Sub), and October 30 (Dub). 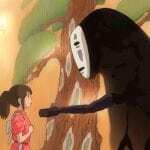 Spirited Away is one of the most original movies ever made with each scene being new and surprising. Whether it is people turning into pigs, a dragon made out of paper cranes, or a giant baby, you never know what is coming next. Starting today, you can enter to win a pair of tickets to see Spirited Away, and you won’t want to miss it! Winner of the Academy Award® for Best Animated Feature, Hayao Miyazaki’s wondrous fantasy adventure Spirited Away is a dazzling masterpiece from one of the most celebrated filmmakers in the history of animation. Chihiro’s family is moving to a new house, but when they stop on the way to explore an abandoned village, her parents undergo a mysterious transformation and Chihiro is whisked into a world of fantastical spirits ruled over by the sorceress Yubaba. Put to work in a magical bathhouse for spirits and demons, Chihiro must use all her wits to survive this strange new place, find a way to free her parents, and return to the normal world. 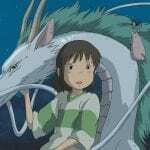 Overflowing with imaginative creatures and thrilling storytelling, Spirited Away became a worldwide smash hit and is one the most critically acclaimed films of all time. Excited for Spirited Away? What’s your favorite part of the movie?